Kwon Min-jeong, 36, a freelance translator, recently stopped eating carbohydrates believing it‘s the best way to lose weight. Kwon is one of many who don’t eat carbs in Korea, where the nutrient is increasingly being singled-out as a culprit leading to obesity. Books, commercials and news articles are churning out stories claiming carb intake needs to be reduced to stay healthy, muscular and slim. However, food experts said an excessive reduction of carbs will instead harm one’s health. 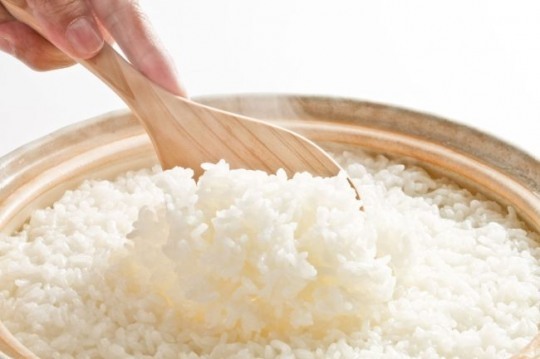 “Koreans seem to show excessive resistance to carbohydrate today maybe because rice has been our staple food and this makes us we take in carbs too much,” said Hah Tae-yeol, a researcher at the Korea Food Research Institute. However, if we excessively reduce the intake of carbohydrates, this will lead to health problems, including anxiety, hypoglycemia or kidney disease, according to Hah. Researchers say that when the body is going through a carbohydrate deficit, stored glycogen, fat and protein is used as an alternative source of energy. If the lack of carbohydrates continues, people may experience a bout of hypoglycemia, lethargy, depression or hypersensitivity. And, if it lasts longer, they may experience insulin shock, seizure and even death. Recently, a new diet method, the so-called high-fat and low-carb diet, has been gaining traction in Korea. The “Atkins Diet” was first developed by American physician Robert Atkins in 1963, and became known to the public here with some celebrities claiming they lost weight with the diet method. However, experts say people may lose weight for the first few days with the high-fat and low-carb diet, but if the diet lasts more than a week, it could lead to fatal health risks due to unbalanced nutrition. “The Atkins Diet has not yet been proven to lose weight (medically) and this also could lead to critical side-effects, such as cardiovascular disorders and lethargy,” said Park Tae-gyun, a professor of Ewha Womans University‘s nutritional science & food management college and chief of the Korea Food Forum. “Instead of excessively reducing carbohydrates, it is more recommended to have a nutritionally balanced diet of carbohydrates, fat and protein in the proportion of 6:2:2 with the increase of activities,” he said. Experts still say the intake of bad carbs should be reduced. This includes junk food, including instant noodles, pizza, hamburgers, fried potato, popcorn and ice cream which are high in calories with low nutritional value and have a lot of artificial additives and sodium. “Bad carbohydrates quickly increase blood sugar to make people feel hungry fast and make them addicted to the taste easily,” according to Bang Jae-wook, a professor of Chungnam National University. In contrast, good carbohydrates slowly increase blood sugar and stop reducing muscle. Good carbs are brown rice or brown bread that increase satiety. According to the Korean Nutrition Society, the recommend intake of carbohydrates per day is 50 percent to 60 percent of a person’s total calories, which is around 300 grams, although it differs from individual to individual.